Allergic diseases have become an increasingly important chronic disease and public health issue in Australia and other developed countries over the last two decades, contributing to increased demand for medical services, significant economic cost of care and reduced quality of life of people with allergic diseases and their carers. Currently affecting more than 4 million Australians, the rapid and continuing rise of allergic diseases is therefore a serious public health issue that requires action by all levels of government and the community. To improve the health and quality of life of Australians with allergic diseases, and minimise the burden of allergic diseases on individuals, their carers, healthcare services and the community. Develop standards of care to improve the health and quality of life of people with allergic diseases. Ensure timely access to appropriate healthcare management for people with allergic diseases. Improve access to best-practice, evidence-based and consistent information, education and training on allergic diseases for health professionals, people with allergic diseases, consumers, carers and the community. Promote patient-focused research to prevent the development of allergic diseases and improve the health and quality of life of people with allergic diseases. Recognition of allergic diseases as a prioritised chronic disease and National Health Priority Area. 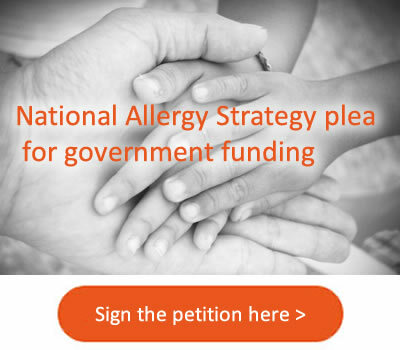 It is important to note that the content of the National Allergy Strategy has not been influenced by financial supporters.